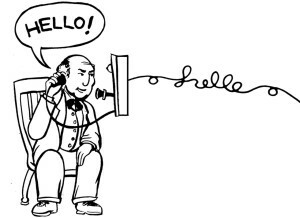 No matter what tone, language, with a smile, as a demand, or in curious anticipation, the standard salutation for answering the telephone has been “Hello” since 1877. Although he didn’t invent the telephone or receive a patent for the word, history has it August 15, 1877 marks the date Thomas Edison first gets credit for how we greet after a call is connected. Word according to wired.com is that “Hello” was entered into the dictionary by 1883. And according to npr.org‘s “Shockingly Short History of Hello”, Edison was in fact, the one who put hello into common usage. Rather than a grandioso greeting, Edison went with the simple “hello” and urged the people who used his phone to say it when answering. Rumor has it he was “tinkering around with a prototype phonograph in 1877 and used a shouted halloo! for testing – and it caught on. 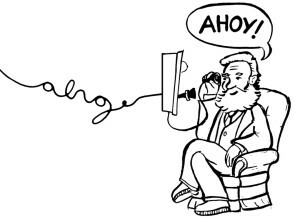 Alexander Graham Bell however, preferred to say “Ahoy”. And, “‘Ahoy,’ it turns out, had been around longer – at least 100 years longer – than hello. It too was a greeting, albeit a nautical one, derived from the Dutch “hoi,” meaning “hello”. Bell felt so strongly about “ahoy” he used it for the rest of his life”, said the story provided by NPR. Edison’s contribution to the “improvement in telegraphy” was giving us the salutation now used the world over, in one form or another. 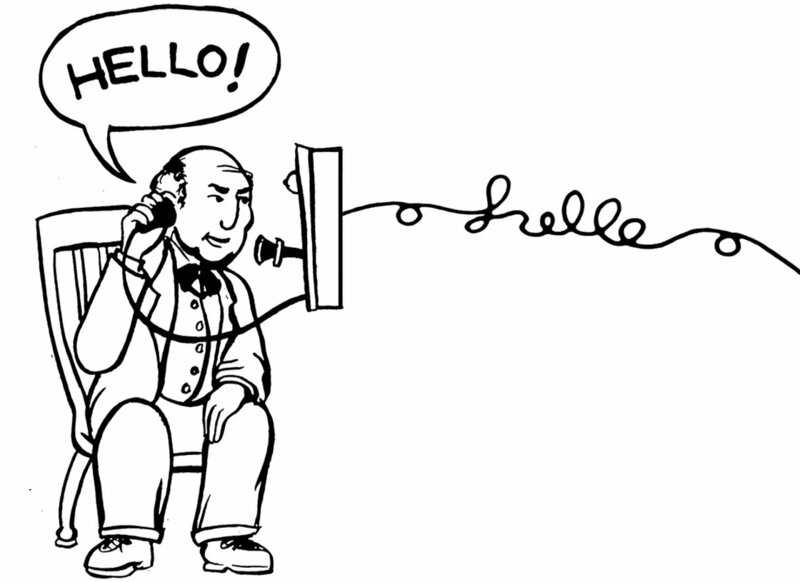 Bell’s famous first words spoken over what we now call the telephone – “Mr. Watson, come here. I want to see you.” – were delivered without any greeting at all. When he did weigh in on the subject, Bell proposed using “ahoy, ahoy,” the age-old seafarer’s hail. 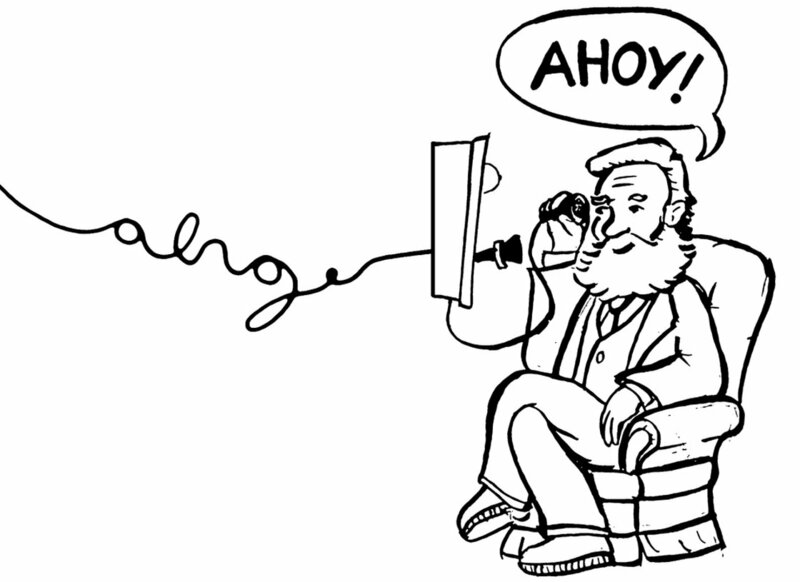 And, in fact, ahoy was the first greeting used, until Edison suggested hello. Alas, while Edison won with the word we use, perhaps the way to ringing Alexander G’s bell was by using his word of choice in naming America’s favorite chocolate chip cookie? Hello?